If you are an outdoors lover, chances are that you’ve heard of Evergreen Lake and Comlara State Park. However, we are often surprised by how many of our clients don’t know about this local gem! 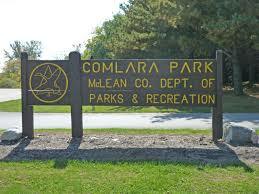 Located near Hudson in McLean County, Comlara Park has several conservation areas surrounding the lake including Deer Island Area, Lake View Area, Mallards Bay Conservation Area and White Oak Area. These areas offer some of the best camping, walking/biking trails, and fishing just outside of the Bloomington-Normal city limits. Dug in 1970 as a second water source for Bloomington, Evergreen Lake is over 900 acres, has an average depth of roughly 19 feet and maimum depth of 50 feet. The lake is surrounded by 2200 acres of lush vegetation and timber providing recreational activities for people of all ages. Fishermen seek out the lake for the record size game fish that flourish in these local waters. Not only does Lake Evergreen provide an ideal warm weather fishing spot, but the shape of the lake, with it’s many inlets and coves, make it great for ice fishing too! The Illinois Department of Natural Resources makes sure the lake is fully stocked with black crappie, bluegill, channel catfish, largemouth bass, muskellunge, saugeye, smallmouth bass, walleye, white crappie, yellow bass, bullhead and carp. There are two boat launches and one canoe launch on Lake Evergreen that make it easily accessible for many different activities such as canoeing, kayaking, paddle-boating, sailboarding, sailing, swimming and tubing. While small motors are allowed on the lake, no wake is permissible. If any the before mentioned activities sound fun, but you don’t have the gear, Comlara Park offers rentals for many of the most popular activities. There is also a fenced swimming area, complete with sand beach, playground equipment and a shower area. This area is perfect for spending some unique family time. We recommend packing your picnic basket, grabbing some sunscreen and spending as much time as you can here over the summer. Is picnicking more your style? 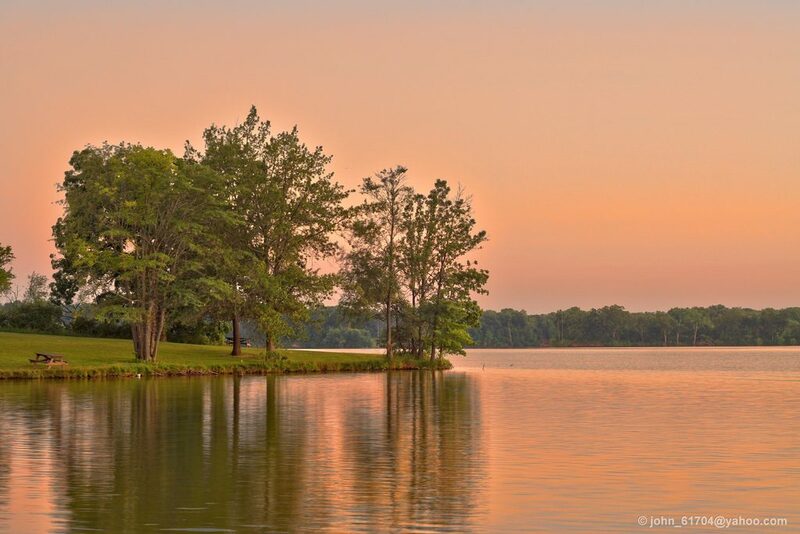 Enjoy many spots around the lake by taking advantage of the numerous sheltered picnic areas and play grounds. Make sure to bring your camera as abundant wildlife draws photographers from all over Central Illinois. For those looking to spend a few days in the park, there are plenty of options for camping. There are 144 total sites, each boasting different site amenities but all have access to hot showers, sanitary dump stations, and a visitor’s center that sells firewood, ice, and fishing bait. The campground is open year round but water is shut off after a certain date. You can learn more about how to make reservations and the rates for the park on the McLean County Parks and Recreation Site. If you need any other excuse to visit the area, consider some of the events that are hosted at Comlara Park! They have GPS/Geocaching classes, triathalons, ice cream socials, family fishing tournaments, bike races and more. The event list is updated often, so be sure to check it out, or visit McLean County Parks and Recreation Facebook Page. Before planning another weekend trip to a big city, consider a weekend trip in nature at Comlara Park to provide valuable time away and unbelievable stress relief! We would love to hear about some of your favorite activities and even see pictures! Interested in living closer to Evergreen Lake? Give us a call and let us find the perfect location for you at 309-319-6030.